Bitdefender Antivirus Plus 2017 can be used on both home and business computers. The product provides excellent malware protection and includes more features in its basic package than many of its competitors. 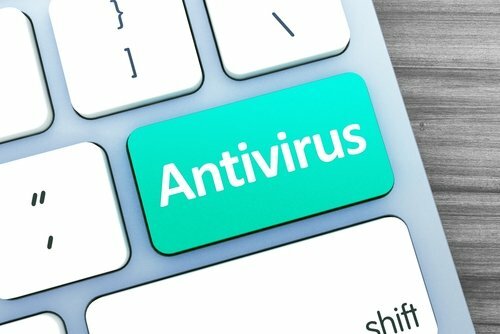 While Antivirus Plus 2017 works only with Windows (up to Windows 10), there are separate iOS and Android antivirus products, as well as the Bitdefender Total Security package that allow users to install the antivirus on both Mac and Android devices. Bitdefender also offers a free version of antivirus that is one of the most effective products in its class. While perhaps a lesser-known brand name than Norton or Kaspersky Lab, Bitdefender offers malware protection of the same high quality. Both the free version and for-sale version of Bitdefender Antivirus consistently receive extremely high marks when tested by independent testing companies such as AV-Test and AV Comparatives. These tests give both consumers and companies the peace of mind that comes from purchasing a product that really works. Whether it’s the Antivirus Plus 2017 as a standalone product, or one of Bitdefender’s Home or Business packages, there is continual proof from independent testing companies that Bitdefender really does defend against viruses. Bitdefender Antivirus 2017 is the basic (and most up-to-date) product from the company, but there are a variety of other packages that offer more features and can be used on more devices. The higher-level packages don’t necessarily offer a higher level of protection, but rather, offer additional features such as parental controls and anti-spam protection. While Bitdefender Antivirus Plus is updated every year, users who purchase older versions can still receive customer support. Bitdefender Antivirus Plus 2017 is the company’s basic antivirus software product. For a basic product, it offers comprehensive protection for up to 3 PCs and includes many features that its competitors’ similar products lack. Bitdefender’s anti-malware includes protection from viruses, worms, Trojans, ransomware, zero-day attacks, rootkits, and spyware. Additional features include: WiFi security advisor, file shredder, online banking protection, password manager, search advisor, anti-phishing, anti-fraud, vulnerability scans, various modes, and autopilot. Bitdefender Antivirus can detect when you are playing games or watching movies, and adjusts accordingly - for example, it can temporarily halt pop-ups if you are watching a movie or pause unimportant background activities if you are playing an online game. Bitdefender Internet Security 2017 offers all of the features that the stand-alone antivirus comes with, but also includes the following extras: anti-spam, parental advisor, firewall, file encryption, and continuous updates. Bitdefender Total Security 2017 is Bitdefender’s most advanced security package. It includes all of the features of Antivirus Plus and Internet Security, as well as an anti-theft feature, OneClick Optimizer (speeds up your devices’ performance), and Mac and Android protection. Bitdefender Box is a physical product that utilizes hardware, cloud, and software technology to offer complete protection for unlimited devices. Complete protection means that it comes with all the features of Bitdefender Total Security, plus privacy protection, data anonymization, and network vulnerability assessment. The Bitdefender Box not only protects computers and mobile devices, but any device that is connected to your internet, such as a baby monitor or Wifi thermostats. As of this writing, the Bitdefender Box is only available in the United States, Japan and France. Bitdefender Free Antivirus provides the bare bones of virus protection, but it is an effective product for what it offers. The free version can be downloaded to PC, iOS, and Android, but it can’t be installed if you have already-existing antivirus software on your computer. Features include: Virus scanning and removal, advanced threat detection, anti-phishing, and anti-fraud. In other words, what’s not offered in the free version are all the perks of the paid version: WiFi Security Advisor, online banking protection, password manager, search advisor, vulnerability scan, and a file shredder. This means that if you want to use your computer or mobile device for online banking, the free version of Bitdefender’s antivirus is not enough—and you’ll be hard-pressed to find any free antivirus software that offers this feature. Bitdefender Antivirus Plus 2017 can be installed easily, as can its free counterpart. Users will be prompted by their computer to follow installation instructions, which takes a matter of minutes. Users can manage Bitdefender Antivirus easily from the dashboard, and even run scans remotely using the Bitdefender Central website. Once you install Bitdefender Antivirus, you can see at a glance whether you are protected via the dashboard—the big green check mark gives it away. In terms of setup, you have the option to turn on Autopilot, which means that the software “decides” on the best security practices for you. If you turn off Autopilot, you can choose between work, movie, or game mode, as well as Paranoid mode, which means that alerts for almost every internet action will pop up. When sold at the market price of $39.99/year, Bitdefender Antivirus 2017 is in the same price range as its competitors. In other words, you’re not getting the best deal, but you’re also not paying a small fortune. And most importantly, you are definitely getting your money’s worth with all of the features included in the antivirus program. A free trial version is available for 30 days (or 90 if you “like” the company’s Facebook page). Bitdefender Internet Security can be used on up to 3 PCs and costs $59.99 a year, and Bitdefender Total Security is available on up to 5 devices and costs $89.99 a year. The Bitdefender Box retails at $199.99 per year. Any Bitdefender user can access the website’s help pages and browse articles to troubleshoot problems on their own. There is also a user forum where you can get help from Bitdefender’s large customer base of 5 million users. Paying customers—individuals or businesses—have access to Bitdefender’s Customer Care team 24/7 via email, chat, or phone. Bitdefender also offers paid tech support for home users, such as a $39.99 tech session that can help you install and setup the software, a PC Optimizer for $59.99 per session, and other options. For businesses, there are different levels of support: Standard, Premium, and Professional. The higher the level, the more support services you receive. The cost differs for each company, and you can contact Bitdefender for a free consult and quote. Bitdefender Antivirus Plus 2017 is fairly easy to use, and a really great advantage is that users can manage their devices remotely using the Bitdefender Central website. When set on Autopilot mode, Bitdefender antivirus determines how to best keep your device secure, and you don’t need to do much in order for it to do its job. If you have specific preferences (work, game, movie mode), you can turn off autopilot by going to the dashboard and choosing your setting, and then continue with your online activities as usual. The free version of Bitdefender Antivirus is very simple and easy to manage, as it doesn’t offer as many features as Antivirus Plus. The main issue that users have reported with Bitdefender Antivirus is that full scans can take a long time—up to a few hours. However, full scans tend to get shorter the more you run them, since with each consecutive run the scanner has less material to sift through. Quick scans are aptly named, as they run fairly quickly and are completed in a matter of minutes and even seconds. Bitdefender is a reputable brand whose products consistently score great test results from independent testing companies. Its Antivirus Plus 2017 comes with practical features that many of its competitors’ similar products lack, such as a password manager, search advisor, and file shredder. Bitdefender’s free version of antivirus software excels at 4 main things: Virus scanning and removal, advanced threat detection, anti-phishing, and anti-fraud.. Users who require different modes or online banking protection would do better with the paid version. Users who require parental controls, Firewall, anti-spam and other features would do better with Bitdefender Internet Security or Total Security. Bitdefender was founded in 2001 in Romania and has since then garnered 5 million individual and corporate users around the world. Bitdefender offers a full suite of both free and retail products, including its flagship Antivirus Plus, Internet Security, and Total Security Package. Products utilize cloud technology in order to optimize the speed of users’ computers while offering near-perfect virus protection. Independent testing companies have consistently awarded Bitdefender with high marks, for both protection against widespread viruses and zero-day malware attacks.